CLEVELAND — Willie Hodges has patrolled Cleveland’s streets for nearly two decades as a police officer. His career has shown him much of the worst of what life offers, as well as the best. The job he takes on, away from his badge still allows him to protect and serve. 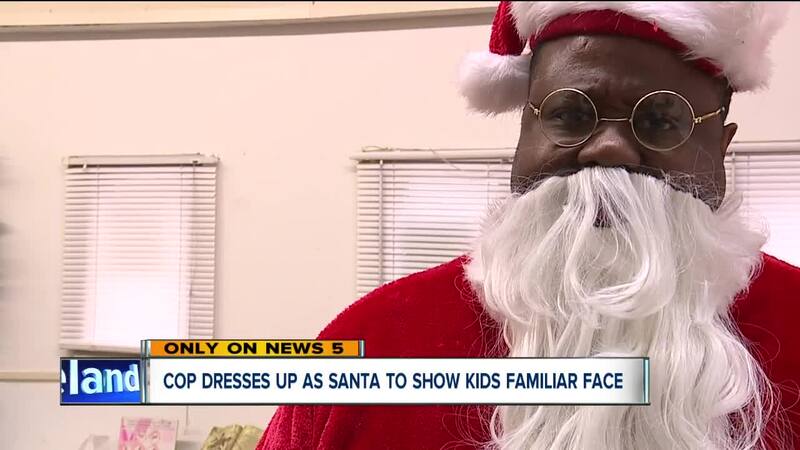 For the second consecutive year, Hodges has served as Santa Clause for Cleveland area youth. He volunteers his time through Cleveland’s Black Shield Police Association. Hodges teamed up with Toys For Tots to offer gifts to kids. The giveaway happened at Harvard Square Community Center. “We want to give back and have the kids have a joyous Christmas,” said Denice Bookhardt, with Harvard Square Community Center. “This time of year, you have a lot of kids that don’t have a toy to wake up. The thanks that we get is more than anything. A lot of them don’t have as much. that’s why we open our doors for them. Our doors are always open.